Way to kick a person when they are down, Georgia! HB 772 Requires recipients of state assistance to be drug-tested, based on suspicions of caseworkers. Wherever there is some form of ridiculousness, the state of Florida seems to always be around. The sponsor of the Georgia drug-testing bill, state Rep. Greg Morris, R-Vidalia, told the House Judiciary Committee he proposed his legislation after a federal court ruled against a Florida law to drug-test welfare applicants. Georgia had modeled its own law after Florida’s. The Florida law that was overturned had a blanket provision for testing, while Morris’ proposal is more narrowly drawn, calling for testing only under certain circumstances. Morris said his goal is to prevent the spending of taxpayer dollars to subsidize illegal drug use. Under the bill, applicants who failed a drug test would have to pass a subsequent screening in order to get the benefits. Why aren’t Legislators being tested for drugs???? Trey Radel, anyone?? 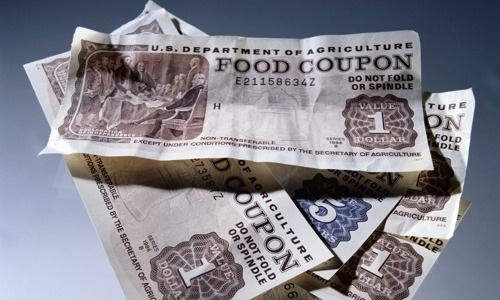 The drug testing bill initially targeted food stamps (Supplemental Nutrition Assistance Program) recipients. Now it includes welfare or TANF benefits, and also to set out criteria for “reasonable suspicion” of drug use that would prompt the testing. These circumstances would include an applicant’s demeanor, missed appointments and arrests or police records, according to the bill. This could lead to harassing behavior by caseworkers, who are now able to require drug testing based on their perceptions alone. The question is why propose a bill that only singles out poor people receiving state assistance? Shouldn’t a bill of this nature target ALL groups that receive state financial aid? It seems that the poor in Georgia, and really all over the country, are being singled out yet again. If Rep. Greg Morris thinks that other groups don’t use monies received by the sate to buy illicit drugs, he isn’t very bright. In fact, he is down-right stupid, and biased. Take a look at who voted yay or nay here. Mid-term elections are very, very important people. These are the elections that DIRECTLY affect you. If you don’t get out and vote, things like this happen.